Ma'alot-Tarshiha (Ebreu: מַעֲלוֹת-תַּרְשִׁיחָא‬; Arabic: معالوت ترشيحا‎) is a mixed ceety in the North Destrict in Israel, some 20 km east o Nahariya. 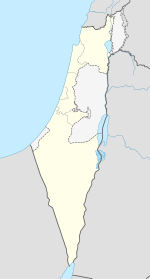 The ceety wis established in 1963 through a municipal merger o the Arab toun o Tarshiha an the Jewish toun o Ma'alot. In 2015 the ceety haes a population o 21,227. Wikimedia Commons haes media relatit tae Ma'alot-Tarshiha. This page wis last eeditit on 21 Apryle 2017, at 20:11.